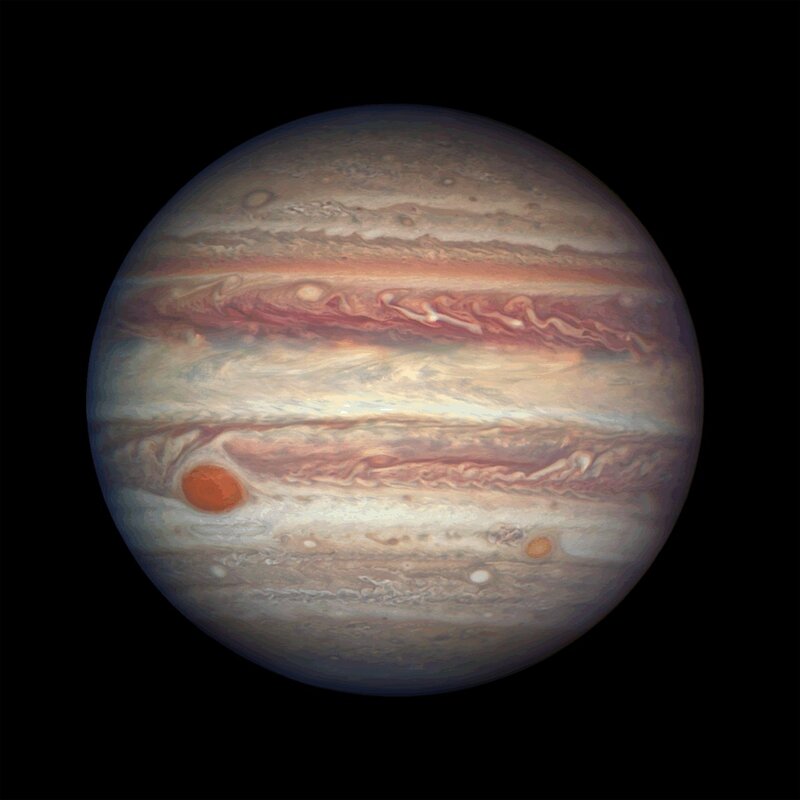 This image of Jupiter was taken when the planet was at a distance of 670 million kilometres from Earth. 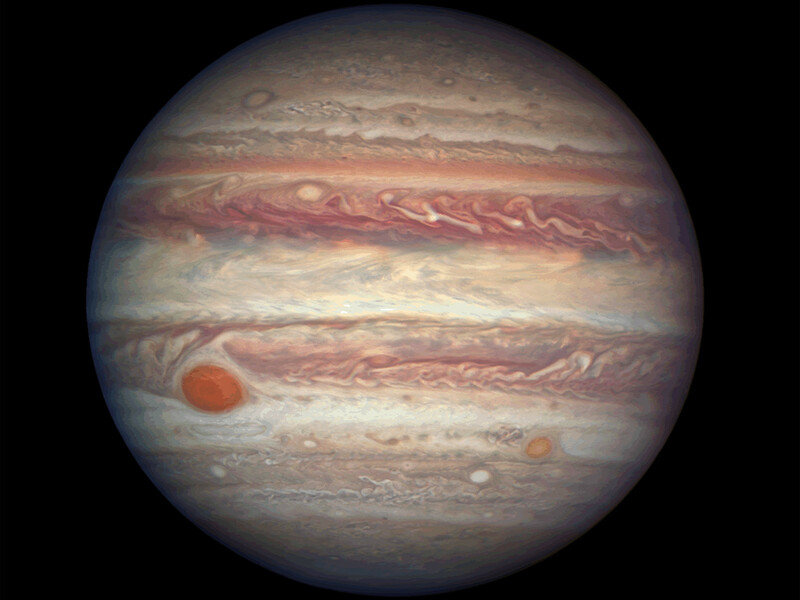 The NASA/ESA Hubble Space Telescope reveals the intricate, detailed beauty of Jupiter’s clouds as arranged into bands of different latitudes. These bands are produced by air flowing in different directions at various latitudes. 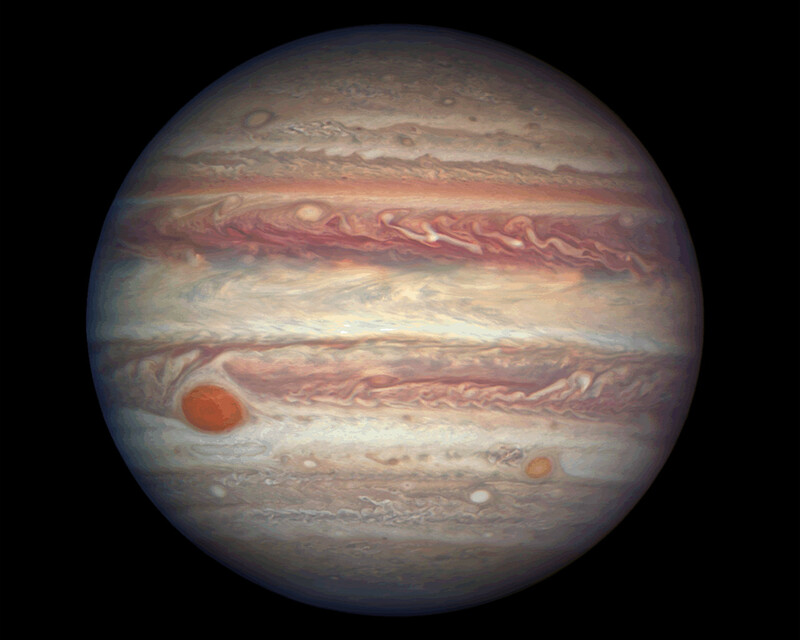 Lighter coloured areas, called zones, are high-pressure where the atmosphere rises. Darker low-pressure regions where air falls are called belts. Constantly stormy weather occurs where these opposing east-to-west and west-to-east flows interact. 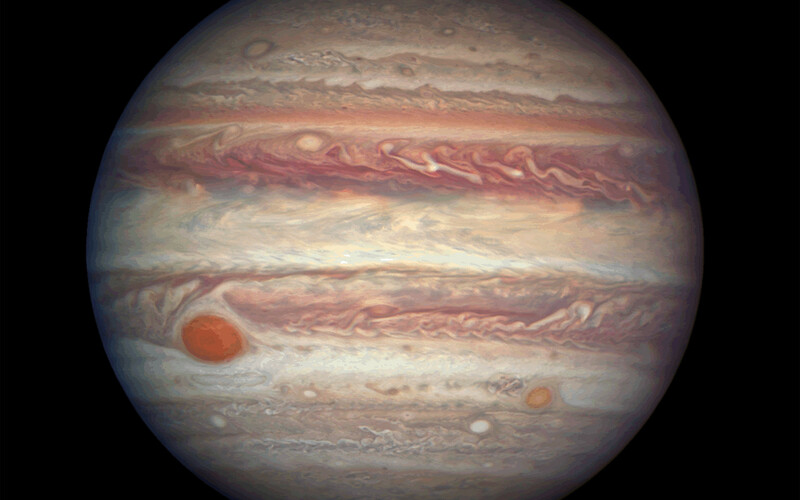 The planet’s trademark, the Great Red Spot, is a long-lived storm roughly the diameter of Earth. Much smaller storms appear as white or brown-coloured ovals. Such storms can last as little as a few hours or stretch on for centuries.